In a small bowl combine red onion, lime juice, olive oil, salt and pepper. Let them marinate at least 5 minutes to mellow the flavor of the onion. 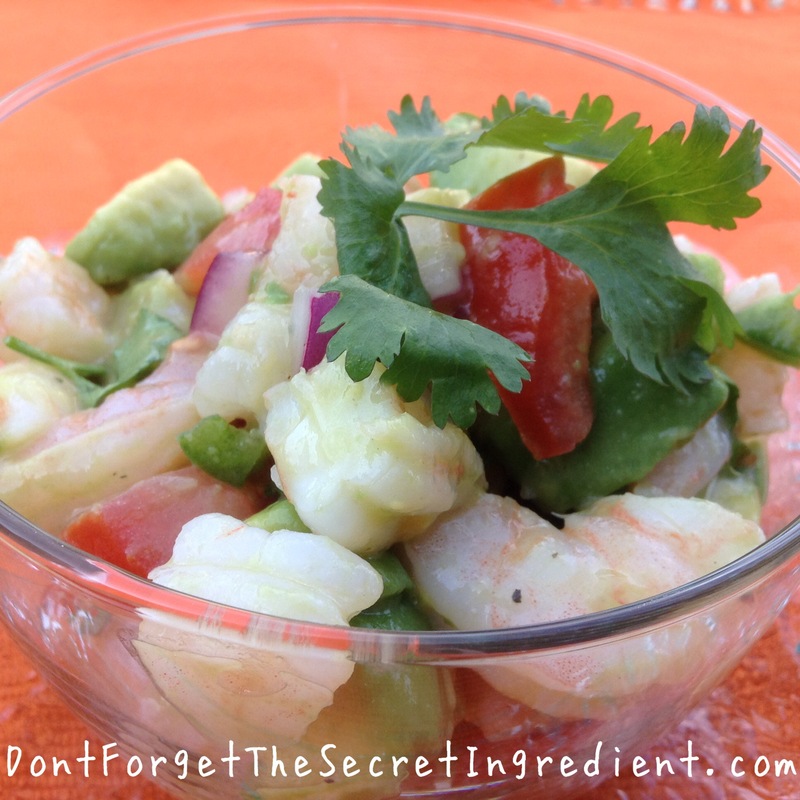 In a large bowl combine chopped shrimp, avocado, tomato, jalapeño. 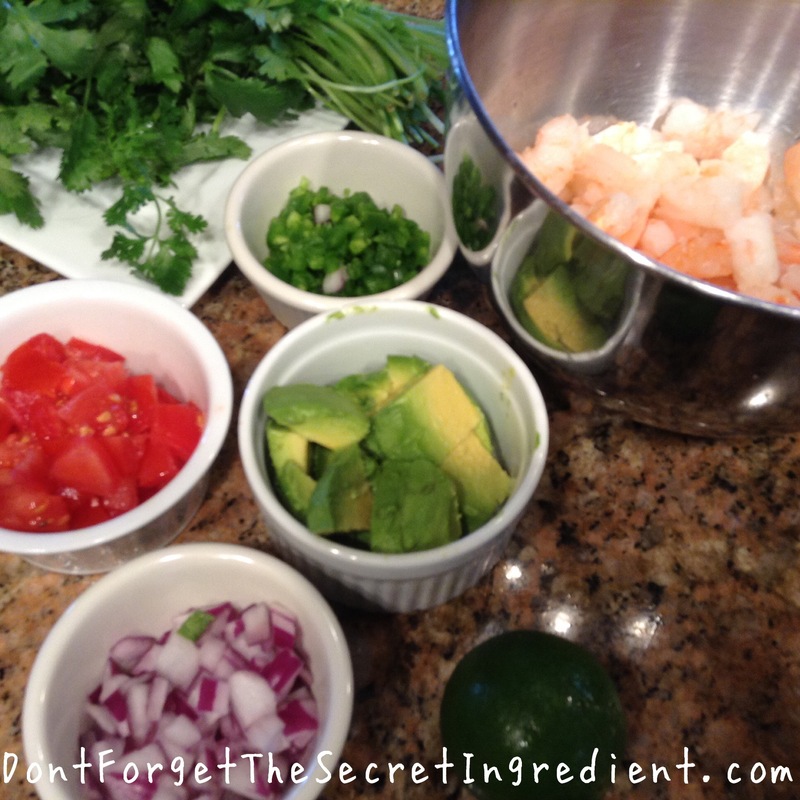 Combine all the ingredients together, add cilantro and gently toss. Adjust salt and pepper to taste. *Weight after shrimp has been peeled.